I happen to think the activities is one of the most underutilized spaces on the college application. I think your activities list can make the difference in your application. Organized and ran meetings, set up field trips, brainstormed and created group art activities, wrote and sent newsletter to members. Want to know how to write an amazing activity? Cool. But I’ll keep it short so we can get to the examples. State role and organization name in top box. To save space, use lists and cut extra words. No need for complete sentences. Wanna know more about these tips? Click here for 10 tips on how to up-level your list of activities. Below are a ton of extracurricular activities examples to give you an idea of what a great activities list description looks like. Developed lesson plans, lobbied local businesses for sponsorships, held marketing sessions, established partnerships to run 2-wk leadership camp. 500+ hrs. over 4 yrs. 8 tournaments, 22 concerts. Received Div.1 at 2016 Solo and Ensemble Contest. Attend band trips to Dallas/Corpus Christie/Austin/Orlando. Supervised building of protein molecule model, taught peers to use 3D molecular program Jmol; placed in top ten in 2016 regional competition. Manage club website; organize club activities with club officers; brainstorm events to increase membership and strengthen LIONS Club International. A 4-year research program combining a published thesis and capstone project; researched the impact of education on child marriage for girls in India. Selected for outstanding ability and interest in art-- ran meetings, five gallery shows, art community service, and coordinated the field trips. Interacted with patients; assisted nursing staff in providing clinical care; designed, produced & delivered holiday greeting cards to patients. Tutor students in Spanish and promote a continuing interest in Hispanic studies. Organize meetings and trips to conferences and colleges, advertise cultural events, plan fundraisers, oversee delegated responsibilities of members. Launched program through which students can request complimentary coaching in math/science; taught concepts in chemistry and precalculus. Lead violin section in rehearsals and concerts, tune and warm up the orchestra, assist the directors in orchestra functions; Outstanding Musicianship. Created an after school art program for kids in kindergarten-fifth grade, once a month, at a Title I school that does not have art supplies. Elected as President in 10th grade. Recruited club members, organized seminars for freshmen and coordinated team preparation for various competitions. 8 months intensive preparation on English language proficiency and presentation skills for British English Olympics. Won ___ place out of ___ schools. Recruited and assigned media team members as photographers, writers, editors and marketing advisers. Developed, designed and maintained school MUN-club website. I completed several college courses in Global Health Equity and Healthcare systems; pre-enrolled in Paul Farmer’s edX Course on Global Health Equity. Sold souvenirs to tourists in museum gift shop, took inventory, managed sales and financial accounts, and completed all administrative tasks. Responsible for helping 11-12 year olds on school work and planning activities, all while enhancing their self-esteem, social skills, and respect for others. Lead a group of classmates in coordination with the city to remove graffiti, in an effort to reduce crime based on the broken window theory. Wondering How to Decide Which Extracurricular Activity to Write About? Approve and update online information database on classical music and instruments for use by music enthusiasts. Premier level team, traveled out of state for tournaments, competed against nationally ranked teams, outside midfielder, State Cup Finalist 2017. Traveled across Florida to play different high schools, also organized team workouts outside of school; State Finals 2017, Voted Most Improved 2017. Wrote blog posts about women and education, photographed for website, used Photoshop to help with graphic design, assisted with social media accounts. Perform for professional gigs, from mayor’s banquet to Boy Scout ceremonies; often hired to play at community centers, local churches, and hotels. Organize drills, model proper soccer technique for practices, prepare line-up, coach team, send emails to parents. 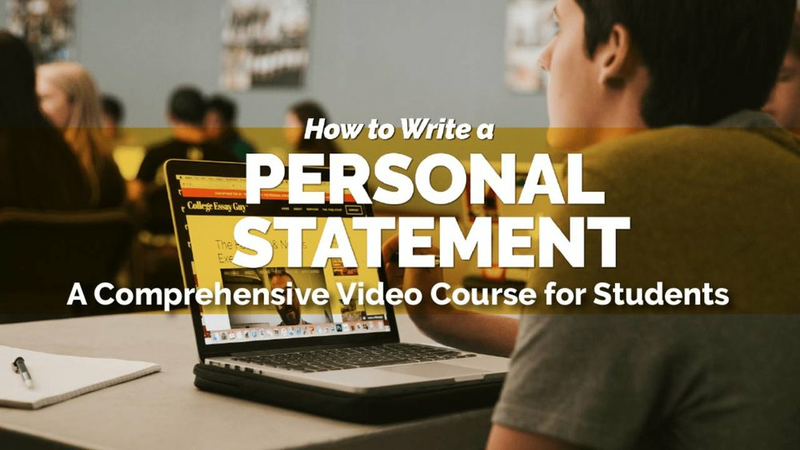 Obtained confident & powerful public speaking techniques, explored professional speeches, mastered improvised speech, & incorporated theatrical skills. Networking with local health workers and ngo officials; assisted pharmacists delivering medicine to mountain tribes. Played drums at community meetings for worker rights awareness. Earned 9 credits at Level 1 of QCF England credit system from Trinity College with Distinction. Coordinated monthly performances at community venues, opportunity for performers in theater, music, poetry, etc. to serve others through talent. Traveled to photograph sporting events, worked with InDesign, mentored new staff members, helped run a summer workshop for new staff members. Designed graphics (backgrounds, typesets, layouts, digital drawings); wrote and proofread peer articles; updated print newspaper to digital format. Directed morning practices, assigned role of each member, supervised team preparation for competition. Select a range of international films, facilitate discussions, keep members posted about film events in Los Angeles, watched The Motorcycle Diaries, Mustang, etc. Taught watercolor classes to Alzheimer’s patients; encouraged greater patient participation & creative expression to mitigate the effects of dementia. 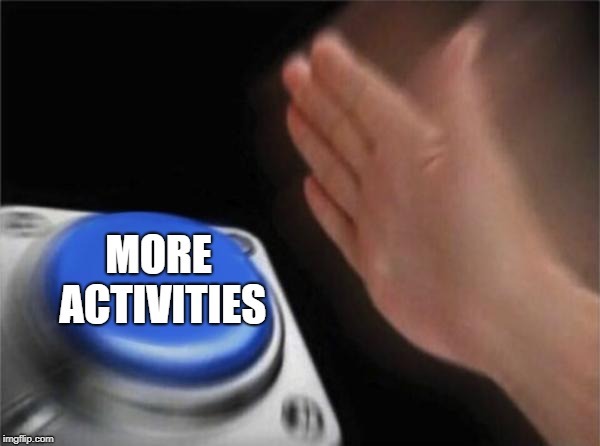 Organized weekly class meetings, sent official announcements, point of communication, first student council in school history to host non-profit fundraisers. Assigned as either 2nd or 3rd speaker for debating competitions, gave reply speech, coached club members, organised club meetings, held inter-house debates. Aided Renal and Labor and Delivery departments by monitoring front desk and organizing six years worth of backlogged medical records. Top-3 Soph/Frosh runner, led boy’s soph/frosh team in meets and races, aided coaches in organizing daily workouts. Coach on water, executed drills in boat and indoor training, discussed strategies and plans with coaches, assessed strengths and weaknesses of individual rowers . Studied medical techniques (took vital signs, drew blood, analyzed human cadavers) to prepare me for a career in clinical medicine. Treated patient simulator. Participated in cultural awareness events, organized community opportunities for the members, head decorator for art activities around the school. Mentored 10 young girls in arts and crafts; spearheaded troop exhibit representing Italy at cultural community fair; brainstormed troop activities. Selected participant in Brown University’s Leadership Institute, analyzed social change model of leadership development and applied lessons to GCLI. Developed textbooks on standardized tests and taught fundamental skills to under-resourced students in Siheung, Korea. Played on both JV and Varsity team and named Captain; attended the University of Notre Dame and Pepperdine University tennis camps over the summer. Recruited high school students for research study on relation of cerebral microbleeds and head contact sports. An international nonprofit organization with 501c3 status. See additional info and short extracurricular essay for details. www.ili.net. In charge of arts funding for partner Title I school; lead the chapel talks and school wide fundraising events; chose each trimester beneficiary. Brainstormed ideas for school events, produced, and edited all short films for school events for two years. Tutored students and facilitated games once a week; created and taught a summer tennis clinic for group of ten year old students. Organize weekly meetings and lessons, coach techniques for the three parts of the test, raise money for resource costs and upcoming lessons. Helped alleviate homelessness and develop relationships by collecting toiletries and handing them out to the homeless in (names of neighborhoods). Personally talked to undecided students about their plans for the future both academically and non-academically. Fundraise for our community & surrounding communities, organized City Council/Board of Education forums, & donated grants to High School clubs. I worked at the information booth and gave directions, escorted athletes to venues, organized shuttles, helped athletes navigate the activity booths. Lead 2 hours music therapy tri-monthly for patients, visitors, staff; assist with paperwork, patient needs, cleaning, and orienting hospital visitors. Assembled semiconductors by applying thin film coating, used metal evaporator machine, and diced semiconductor wafers. Set up and maintained a school for 80 children in a slum area. Provided primary education (up to grade 5), clean clothes and a midday meal. Taught English. Used art as therapy for those with Bipolar depression/schizophrenia; set up patient art shows, taught art lessons, organized field trips for patients. Staged and framed personal artwork (drawings/paintings) to be sold; advertised and consulted buyers; donated all proceeds (~$800) to school art program. For two consecutive years have distributed cups of water, encouraged runners, and checked-in participants. Practice Monday-Thursday 5:30am, 20 miles a week. Organize the middle school cross country meets. Qualified to go to state. Orchestrate & publicize community bake sales, lead club members, maintain accounting, and have raised $2000 for the Children's Cancer Research Fund. Campaigned against exploitation of worker rights in Riyadh; translated and spread information regarding rights in Nepalese and provided health aid. I raise funds and bring awareness to a new cause each quarter, including: homelessness, the environment, animal cruelty, and humanitarian issues. Led both officer and club meetings, arranged club events with community venues, planned fundraising yoga nights, encouraged activity of members. Published journals, conducted independent project, facilitated cell maintenance, attended lab meetings, collaborated with residents, fellows, and graduate students. Toured prospective families and visitors around campus and presented information about course offerings, facilities, student life, etc. Sewed the most pajamas each semester, donated the handmade pajamas to over 50 children of Alexandria’s House, a non-profit organization. Brainstormed ideas for after school programs for teens, created surveys, presented data to supervisor. Helped with patient registration, sterilized tools for surgeries, assisted with surgical processes. Academic All-American Award, NFL Tournament Qualifier, Rupe Scholar, Stanford Invitational Semi-finalist, Harker Invitational Semi-finalist. Junior Researcher at Pancetti Sport Inc. Conducted surveys to research youth interests, contributed ideas for future products. Using card games and quizzes to simplify concepts, taught basic math skills to third graders. International Guiding Staff. I tour visitors around campus, while presenting school history, student activities, boarding life. Assist orchestra directors, plan orchestra events, work during concerts, competitions, tours by loading/unloading trucks, setting up, cleaning up. Organize and lead a motivational freshman orientation and serve as a year-round leader, mentor, tutor, and friend to freshmen. As experienced competitor, I teach strategies, select competitors, and host weekly practice sessions and math lectures.